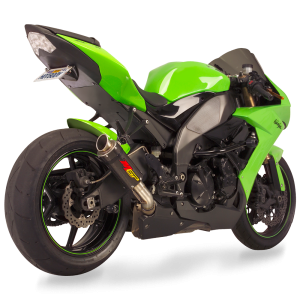 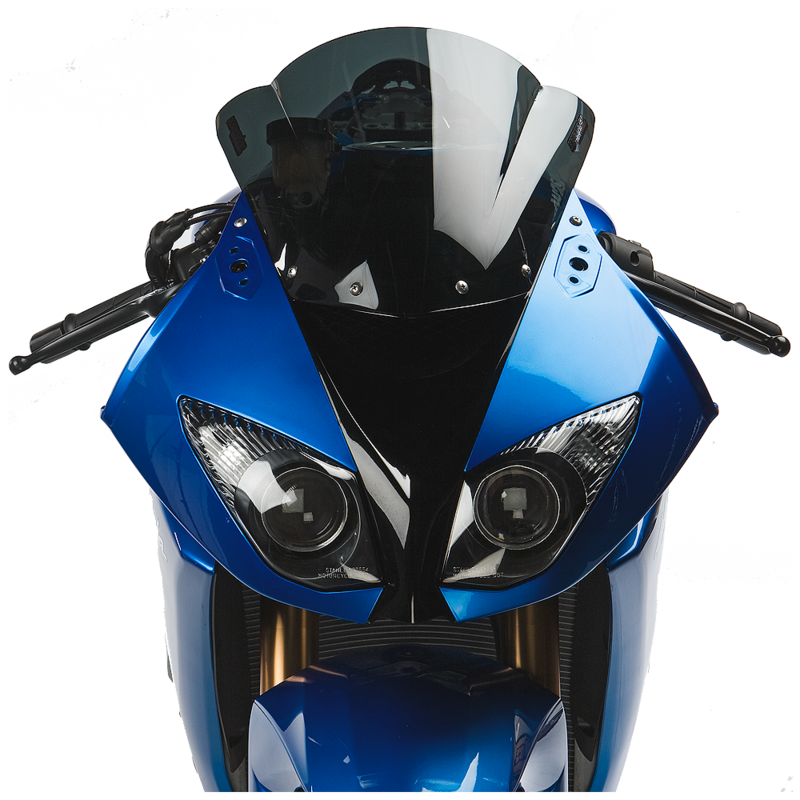 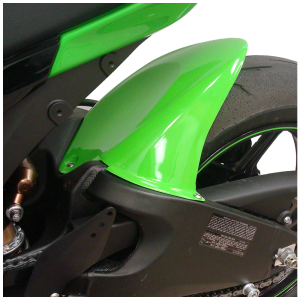 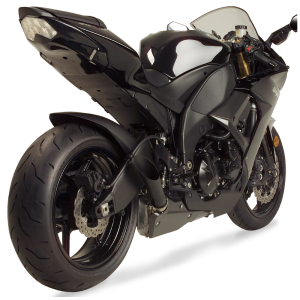 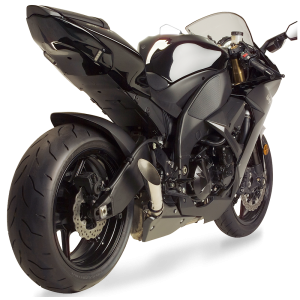 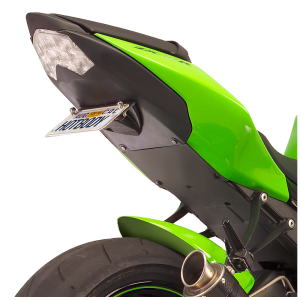 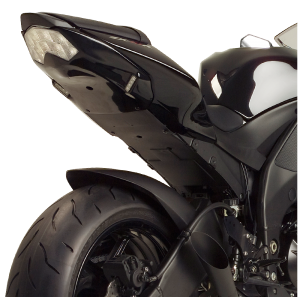 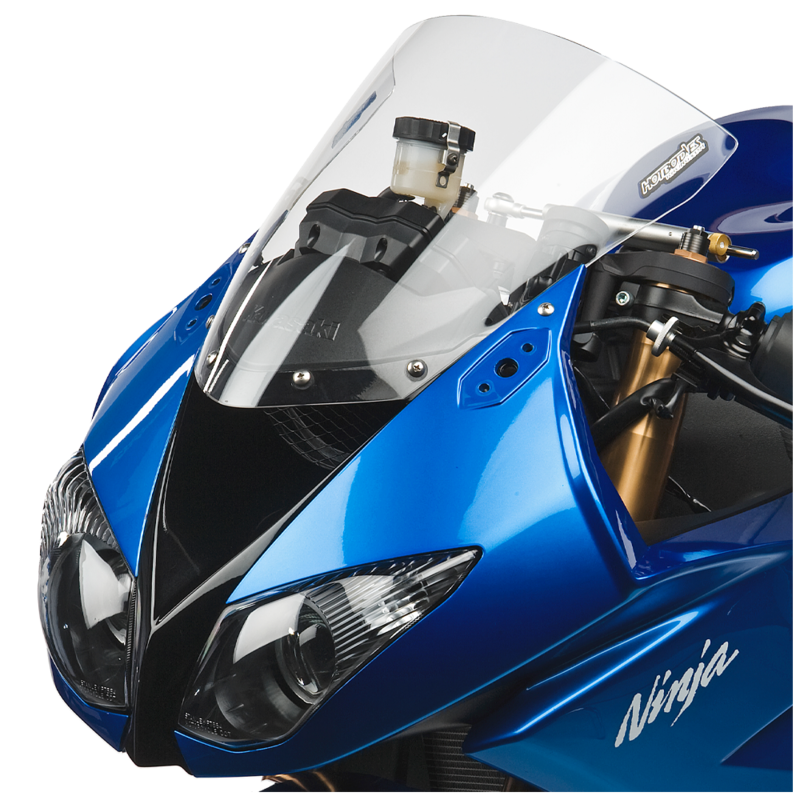 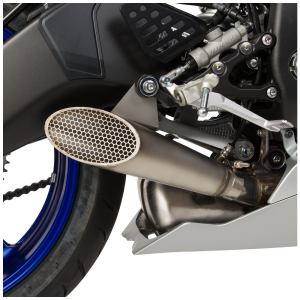 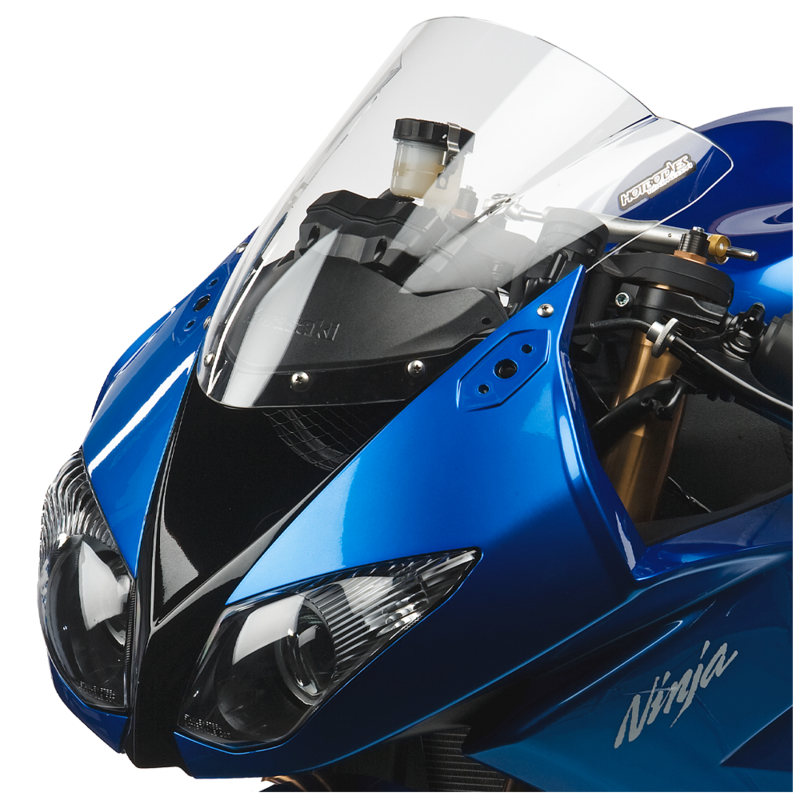 The ZX10R Windscreens from Hotbodies Racing, are specially shaped to out-perform the competition! 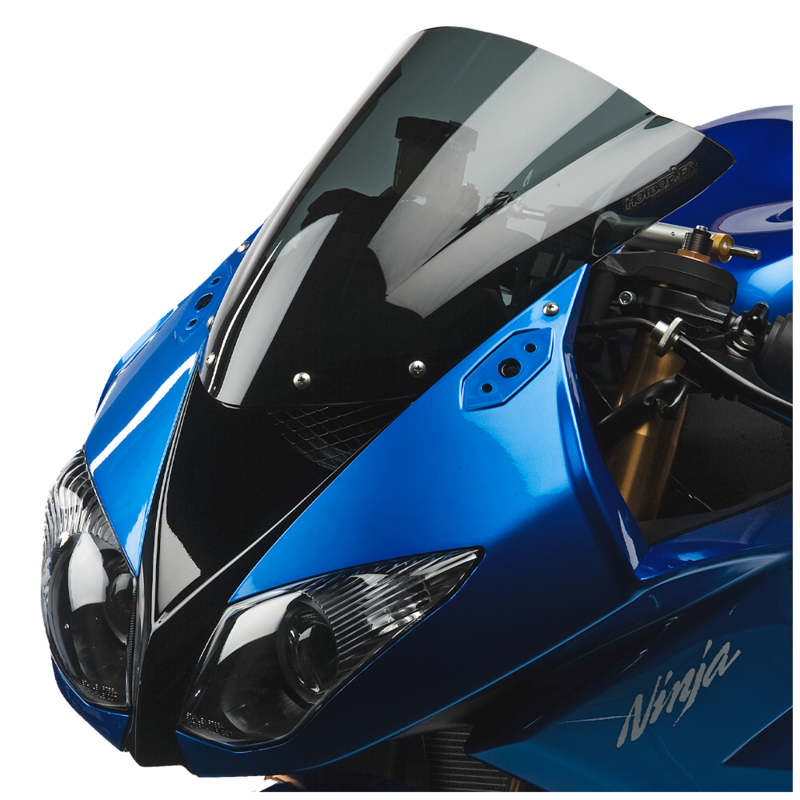 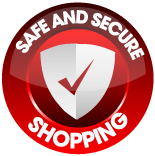 By employing a pressure and vacuum formed method, and using optically correct high-tech modified acrylic, these screens are considered the best on the market. 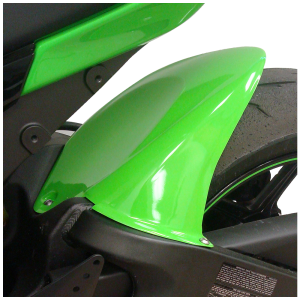 I recently purchased the windscreen for my ZX-10R and I love it, I have the dual radius smoked, really cool, and the little decals are pre applied to, which I love alot of my buddies like the raised mid section. 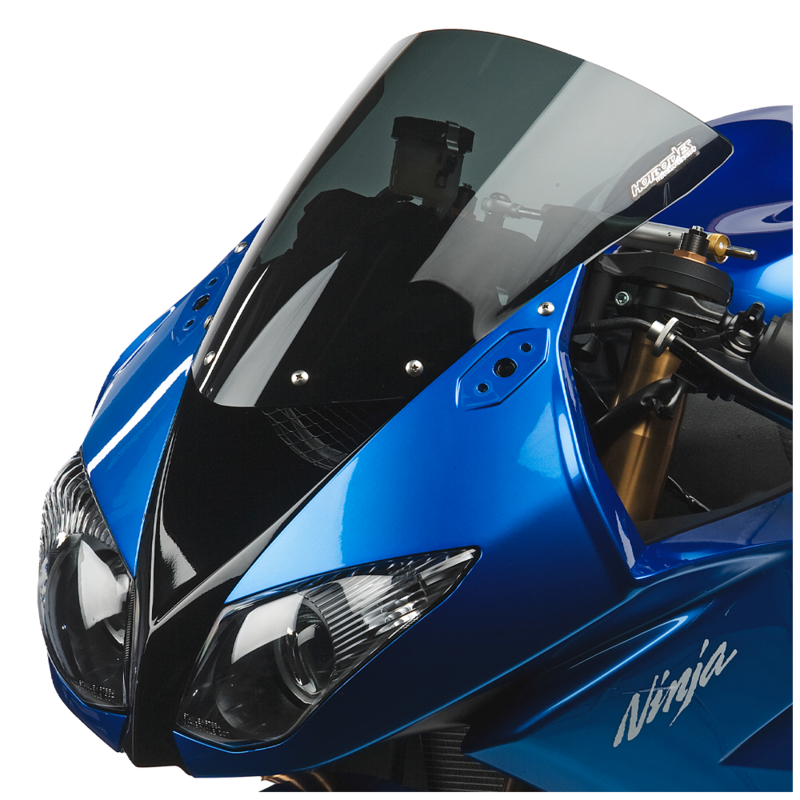 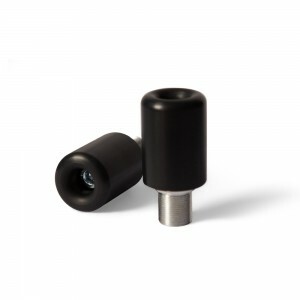 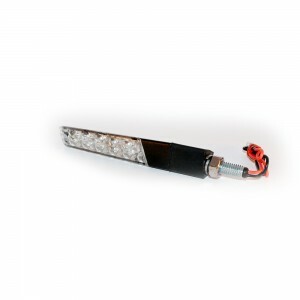 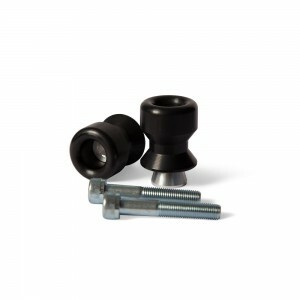 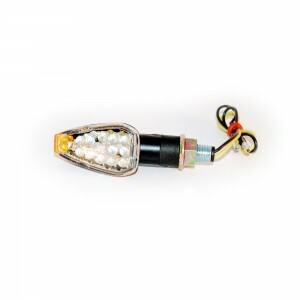 The windscreen came to me perfect, and they have a protective layer over the top, so it was completely safe from any scratches when I had installed it.